Children can get to have so much fun by getting creative when colouring in things, but a wall, sofa, coffee or dining room table is not a parent’s idea of fun when their child takes to them with a big marker or pen. Obviously not all the little kiddies are naughty like that, but nether the less say hello to our colouring table deals page where you get to see many for sale. There are so many different types of colouring tables out there, some are based on movies and some are on characters themselves. One of the most popular is the Disney Frozen colouring table where you can colour in Olaf, Anna, Elsa and the rest of Frozen’s residents. Most tables come with at least 5 meters or colouring paper roll; kids slide the paper into the table then colour in and then tear off once complete moving onto the next masterpiece. Most tables also come with crayons etc. 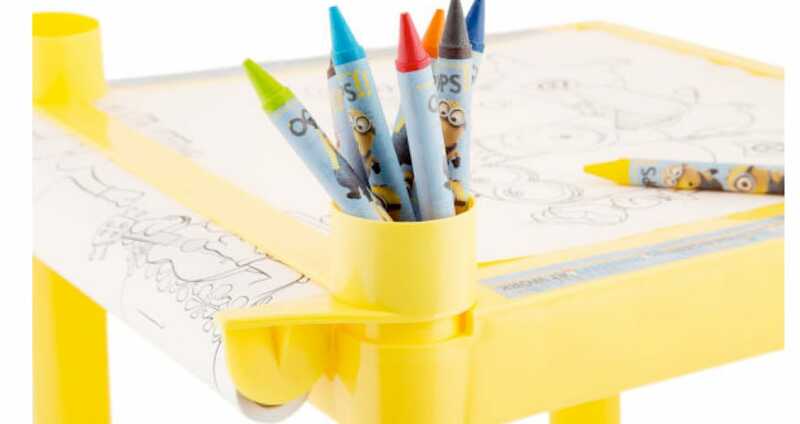 Other colouring table favourites include the Sambro Ultimate Spiderman, Teenage Mutant Ninja Turtles, Disney Sofia and any table to do with the Minions. Be sure to check back here on a regular basis because we will list many colouring table deals when they become available during Black Friday week. Argos is selling the Disney Frozen table for just £7, it was just under £15 which is more than half price off. Just seen a cool Paw Patrol Colouring Table at Toys R Us for just £9.99. I think this is well cheap. Is there anywhere cheaper than Argos that is selling a Frozen Colouring Table, they are selling it for just under £15? Toys R Us HALF PRICE sale on the Pink and Purple Sit ‘N’ Draw Creativity Desk – Was £39.99 but Now only £19.99. I am looking for a Thomas the Tank Engine colouring table, anyone know where the best place online is for the cheapest? The Sambro Avengers colouring table is a great product. I only aid like £15 for it with 8 jumbo crayons. I love this idea, never ever thought about something like this for my son. Oh dear he loves wallpaper, so a Batman or Spiderman colouring table would be awesome.